A Halbach array is a special arrangement of permanent magnets that augments the magnetic field on one side of the array while canceling the field to near zero on the other side. This is achieved by having a spatially rotating pattern of magnetization. The rotating pattern of permanent magnets (on the front face; on the left, up, right, down) can be continued indefinitely and have the same effect. The effect of this arrangement is roughly similar to many horseshoe magnets placed adjacent to each other, with similar poles touching. Such as the brushless AC motor, voice coils, magnetic drug targeting to high-tech applications such as wiggler magnets which are used in Particle accelerators and Free-electron lasers. Such as brushless AC motors, magnetic couplings, and high field cylinders. Both brushless motors and coupling devices use multiple field arrangements. Halbach arrays are widely used in magnet rotors. Rare-earth permanent magnet motor is a new type of permanent magnet rotor, it began in the early 70s. And the rare-earth permanent magnet motor has a series of advantages, such as small size, light weight, high efficiency, and good characteristics. Its applications are very extensive and extend all over fields of aviation, space, defense, equipment manufacturing, industrial and agricultural production, and daily life. Halbach arrays can be made by neo magnets. 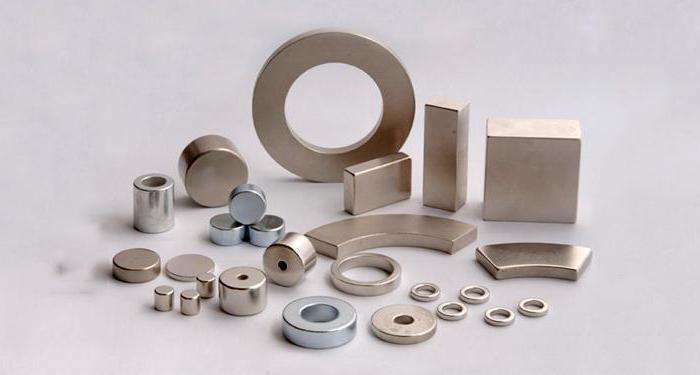 Sintered NdFeB magnet is one of the high-performance rare earth magnets, with high remanence, high coercive force, high energy product and high performance/cost ratio, It is easily produced into various sizes. Sintered NdFeB magnets are widely used in high performance stepper, DC motors, servo motors, and linear motors, actuators, loudspeakers, headphones, electronic instruments, switches, relays, magnetic imaging for medical and geophysical applications, holding systems, magnetic bearings, magnetic couplings, hard disk drives, magnetic separator, magnetic lifter, other magnetic tools and so on. Magnetic motor rotor is formed by magnetic steel, metal shaft or metal shell. 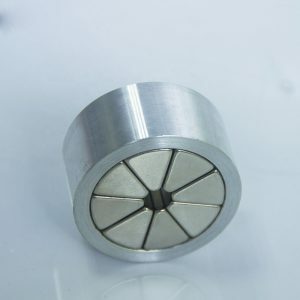 According to detailed application situation, the rotor magnet can be sintered, molded or injection molded with NdFeB magnet material and Ferrite magnet material with multi-poles magnetic rings. It can be used for the high-speed motor, line motor, stepper motor, etc. With the increasing performance of permanent magnet materials, rare earth permanent magnet materials are widely used in electrical fields. Using high-performance rare earth permanent magnet materials to make a motor, the structure does not require special electrical excitation system, which helps to improve motor efficiency and power factor, and save energy, reduce the size of the motor. Currently, in the design of permanent magnet motor, the general assumption that a uniform distribution of the various parts of the magnetic field of the permanent magnet and the magnetic properties of the same batch of permanent magnets can be the same, while the need to use a permanent magnet demagnetization curve of permanent magnet at room temperature under suppliers, intrinsic connectivity magnetic parameters, residual magnetism, such as density and maximum energy product. However, since the manufacturing process and the level of the plant and other reasons, there is a temperature in each portion of a permanent magnet hereinafter actual performance differences and the performance of the same group of permanent magnets is different. permanent magnet motor in normal operation can be closely related to the magnetic rotor, permanent magnet motor can directly determine whether reliable operation. When the permanent magnet motor is running, sometimes leaving the rotor temperature higher NdFeB irreversible demagnetization phenomenon, causing permanent magnet synchronous motor efficiency and power factor and other performance indicators deteriorated. Furthermore, a permanent magnet motor rotor can be customized by different kinds of magnetic materials, and custom drawing is welcomed. The biggest difference between permanent magnet generator and excitation generator is that its excitation magnetic field is generated by the permanent magnet. A permanent magnet is not only a magnetic source, but also a component of the magnetic circuit in the motor. The magnetic properties of permanent magnets are related to the manufacturing process, the shape and size of permanent magnets, the capacity of magnetizers and the method of magnetization. The specific performance data are very discrete. 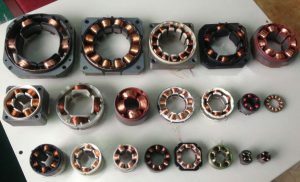 Moreover, the magnetic flux and magnetic potential provided by permanent magnets in motors also vary with the material properties, dimensions of the remaining parts of the magnetic circuit and the running state of the motor. Permanent magnet generator has a variety of magnetic circuit structures. The leakage circuit is very complex and the proportion of leakage flux is large. 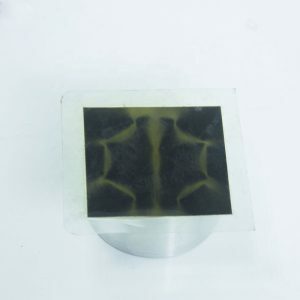 The ferromagnetic material part is easy to be saturated, and the permeance is non-linear. All these increase the complexity of electromagnetic calculation of permanent magnet generator and make the accuracy of calculation lower than that of electric excitation generator. Like the alternator, the mechanical energy of the prime mover is converted into electric energy output by using the electromagnetic induction principle of the electric potential induced by the magnetic force line cut by the wire. It consists of stator and rotor. The stator is the armature that generates electricity, and the rotor is the magnetic pole. The stator is composed of armature core, uniformly discharged three-phase windings, frame, and end cover. The magnet rotor is usually hidden pole type, consisting of excitation winding, iron core, and shaft, retaining ring, central ring, etc. The excitation winding of the rotor passes through the DC current and produces a nearly sinusoidal magnetic field (called the rotor magnetic field). Its effective excitation flux interacts with the stationary armature winding. When the rotor rotates, the magnetic field of the rotor rotates along with the same start and every turn. The magnetic wire cuts each phase winding of the stator sequentially, and induces a three-phase alternating current potential in the three-phase stator winding. When the generator operates with symmetrical load, the three-phase armature current synthesizes to produce a rotating magnetic field with synchronous speed. The interaction between the stator magnetic field and rotor magnetic field will produce braking torque. From the steam turbine/gas turbine, the mechanical torque input overcomes the braking torque coupling and works. I: It has a simple structure and high reliability. Permanent magnet generator eliminates excitation winding, carbon brush and sliding ring structure of excitation generator. The structure of the whole machine is simple. It avoids burning and breaking of excitation winding, carbon brush and sliding ring structure. The structure of the whole machine is simple. It avoids burning and breaking of excitation winding, wearing and tearing of carbon brush and sliding ring of excitation generator. The reliability is greatly improved. II: Small size, lightweight, and high specific power. The use of permanent magnet rotor structure makes the internal structure design of the generator arranged very compactly, and the volume and weight of the generator are greatly reduced. The simplification of the permanent magnet rotor structure also reduces the inertia of the rotor, increases the practical speed, and achieves a very high specific power. III: Medium and low-speed power generation performance is good. Under the same power level, the output power of the permanent magnet generator is twice as high as that of the excitation generator at idle speed. That is to say, the actual equivalent power level of the permanent magnet generator is the excitation generator. Halbach array is a new type of permanent magnet arrangement combined with the radial and tangential array, which can increase the magnetic field on one side of and weakened the magnetic field on the other side. Using Halbach array in permanent magnet motor can increase the magnetic flux in the air gap and decrease the magnetic flux in the rotor yoke, and it is most suitable for the inner or outer rotor of the external permanent magnet. At present, the permanent magnet motor is developing toward high power, high function, and miniaturization. The high power density and high efficiency are the basic requirements for all types of permanent magnet motor design. According to the principle of magnet motor design, the increase of magnetic loading is to increase the motor gap magnetic flux density, which can reduce motor size and improve the power density. For permanent magnet motor, generally, there are two measures to increase air gap flux density in the motor. 1. Change magnetic material: try to use permanent rare earth magnet with higher residual magnetic flux density. But restricted by magnet material performance and price, the actual alternatives are few. Neodymium magnets play a very important role in the renewable energy market. So we believe this magnet motor could find a broad range of industrial and automation applications, from electric vehicles, aerospace, independent power generation to other occasions. Building a basic magnet motor engine is easy. With the principles behind electric current and magnetic fields, we’ve looked for the facts on how to make an electric magnet motor most effectively. Tape collectively four pencils. Tape the pencils in a by using the cluster. This will provide you with something stable to wrap your coil round. You could alternate the pencils for a cylinder that’s kind of half of an inch in diameter. Wrap cord across the pencils. Once you have got the pencils taped or find an appropriate cylinder, begin wrapping your twine around it tightly, begin in the center of the cord and wrap the coil fifteen instances towards one give up and fifteen times toward the other. Once you’ve got finished wrapping the coil, cast off the pencils from the middle. This could go away you with loose leads at both give up of the coil. Loop the unfastened ends around the coil. Wrap the loose ends round either side of the coil 3 or 4 times. This can assist maintain the coil wound tightly, point the ultimate unfastened ends immediately out away from the coil. Relaxed the battery. Use tape or clay to preserve the battery in the region on a flat surface like a tabletop or table. This could permit you to join it to the coil while not having to preserve it with your fingers. Ensure the battery is laying on its side so you can easily reach each terminal. Strip the ends of the coil cord. Use cord strippers to dispose of the insulation on either stop of the twine. Those leads will hook up with the battery and permit cutting-edge to flow thru the coil. For the exceptional results, you could sand the ends of the leads as nicely. This can cast off any film or protectant that may be implemented to the twine. Slide each ceases through the attention of a needle. A needle makes the best holder for the cord leads. Insert each gives up into the attention of a separate needle. you can additionally bend two paper clips (one for every facet) to make a holder. Tape the needles to the battery terminals. Once you have the wire in both needles, it’s time to hook your wire up to the battery. Tape one needle to the positive side of the battery (marked with a “+”). Tape the other needle to the negative side of the battery (marked with a “-”). Deliver a neodymium ring magnet close to the coil. As soon as a cutting-edge is flowing via the coil, it could have interaction with a magnet. Either keep the magnet close to the coil, or tape it to the battery right under the coil. The nearer the neodymium magnet is to the coil the more potent it’ll interact. Spin the coil. See what happens whilst you spin the coil. Depending at the course the contemporary is flowing and the facet of the magnet this is interacting with the coil, the coil might also maintain to spin or won’t. If the coil does now not preserve spinning, try spinning the alternative path. Experiment with special methods. Distinct versions will provide you with special effects. The coil can also spin faster, slower, or under no circumstances, if you alternate something. Attempt shifting the magnet in the direction of or further from the coil, select a more potent or weaker magnet, or use the other aspect of the magnet. These variations are a fun way to understand the forces in a magnet rotor. Traditional motors such as DC motor, synchronous motor, induction motor, and variable reluctance motor can be used as electromagnetic actuators, but using rotating motor as actuator has advantages and disadvantages. DC motor control is simple, but the existence of brush makes DC motor need to be maintained regularly and not suitable for vacuum working environment; induction motor control is more difficult; variable magnetism motor. The cogging force caused by the cogging of the resistance motor will bring the difficulty to precision positioning. Synchronous motors are more suitable for lithographic operation. In order to avoid magnetic resistance and cogging force, they can adopt the structure without iron, cogging and winding surface mounting. 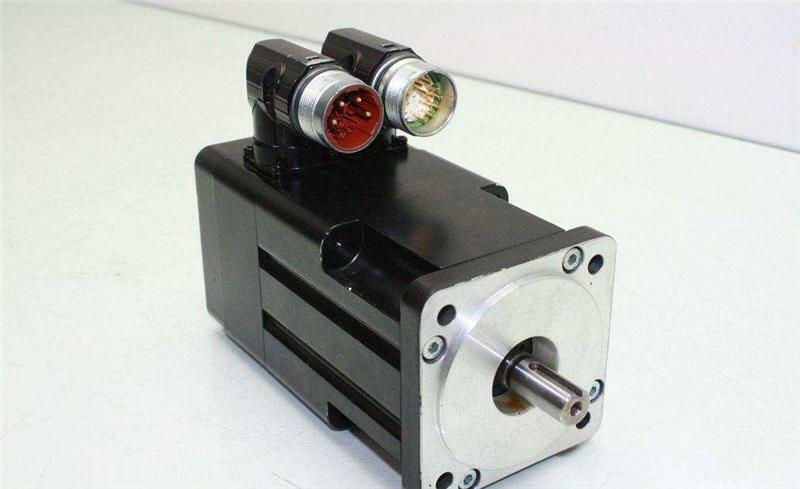 The traditional planar positioning system transforms the rotating motion of rotating motor into linear motion by gear, ball screw, and other transmission mechanisms. Because of the problems of backlash, friction and uncertain ball motion, it is difficult to carry out high precision positioning. As a result, technicians are forced to relocate on the workbench. A precise worktable is set up for micro-displacement correction. This kind of multi-action substructure positioning platform has a huge system and slow response. In high precision plane motor control, compared with rotary motor drive, the direct drive of permanent magnet linear motor has the advantages of no mechanical noise and additional transmission error; no additional mass, such as lead screw, can obtain greater acceleration and faster response; linear motor can not only produce unilateral force but also can produce. The vertical force can be used as a two degree of freedom actuator. Ordinary permanent magnet linear motor only uses the single-layer primary magnet. The harmonic component of the magnetic field along the space is large and the amplitude of fundamental component is small, so it can not produce large electromagnetic force. Ordinary permanent magnet linear motor adopts three-phase control. The winding arrangement is complex, the winding end effect is large, and the cooling condition is poor, which affects the operation of the linear motor. The magnetic field of Halbach permanent magnet array shows obvious unilateral characteristics. The magnetic field on one side is significantly enhanced, and on the other side is significantly weakened. The magnetic field on the strong side has good sinusoidal distribution characteristics, and the high-order harmonics are small. The linear motor with Halbach permanent magnet arrays can improve some shortcomings of ordinary permanent magnet linear motor. 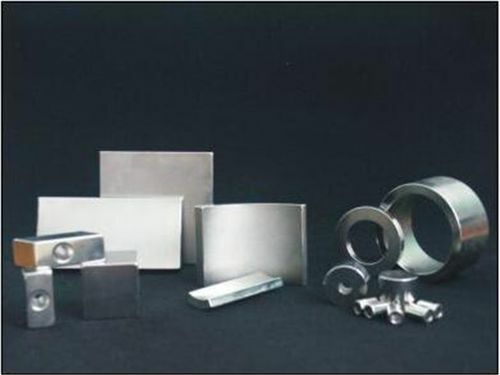 The Neodymium Halbach Arrays are specialized magnetic assembly consisting of Neodymium Iron Boron (NdFeB, NIB, Neo) permanent magnets assembled in such a way as to provide a controlled (uniform and homogenous) and high magnetic field strength without the use of ferromagnetic materials. This Halbach Array is a cylinder / ring-shape with a dipole (2 poles) pattern in the central air gap. The magnetic field within the ring is uniform (parallel field lines which are homogenous) across the entire central hole and of high strength (above 10000 Gauss or 1 Tesla), both being features of this style of Halbach Arrays. The Neodymium Halbach Array ring magnet is made from 8 magnets (45-degree arc segments, each with a specific direction of magnetization). Each arc part has the direction of magnetization such that the magnetic field traverses the central air gap and is then ‘guided’ through and around the magnet material itself. How does magnets and voice coil motors work? The design of voice coil motors ensures good concentricity and mechanical integrity of the complete device. Accurate fixtures are used in assembly to control assembly dimensions, and coil magnet assemblies are individually measured to ensure concentricity and clearance with the magnet assembly. All devices are designed to ensure that finite clearances are maintained throughout an operating range from 0ºC to 130ºC. If a conductor (wire) carrying the electric current is placed in a magnetic field. A force is generated on the wire at right angles to both the direction of current and magnetic flux. The Lorentz force is proportional to the product of the magnetic field and the current, in a direction perpendicular to both of them. In the diagram this direction would be directly toward us. If the current were reversed it would be directly away from us. If the wire were free to move it would accelerate toward us all along its length. Since the permanent magnet flux density field is fixed, the direction of the linear displacement depends on the polarity of input current. If the magnetic field and conductor length are constant, then the generated force is directly proportional to the magnitude of the current applied to it. A simple linear voice coil motor consists of a tubular coil of wire. The wire is situated within a magnetic field. The magnetic field is produced by permanent magnets embedded on the inside diameter of a ferromagnetic cylinder. The cylinder is arranged such that the side of the magnets that faces the ferromagnetic cylinder has the same polarity as the cylinder. The opposite side of the magnets facing the coil has the opposite polarity. An inner core of ferromagnetic material set along the axial centreline of the coil, joined at one end to the permanent magnet assembly, is used to complete the magnetic circuit. When coil current flows, force is generated. The axial force generated along the coil will produce relative motion between the field assembly and the coil. But the force should be large enough to overcome friction, inertia and any other loads attached to the coil. Connection to the moving coil of a voice coil motor must be implemented with care to ensure reliable operation. Flexible cable with many fine strands and Silicone Rubber insulation can provide reliable termination, care should be taken that the leads are mechanically secured to the moving assembly preferably at some distance from the soldered joints (solder fuses the strands together, and leads to large stresses being applied to the termination pins, or to fatigue adjacent to the fused portion of the wire). The leads should be carefully routed to minimise stress. A more consistent means of termination is to use a flexible circuit, this option is offered for several of the VCM devices. Author Maria HigginsPosted on October 26, 2018 October 26, 2018 Categories Magnetic AssembliesTags ferromagnetic cylinder, magnet assembly, Silicone Rubber, voice coil motorLeave a comment on How does magnets and voice coil motors work? What is Permanent Magnet Motor? The Permanent Magnet Motor can be used to demonstrate the operation of a DC motor. The Permanent Magnet Motor can be used to determine the speeds of maximum power and maximum efficiency of a DC motor by varying the load while simultaneously measuring the speed, torque, and armature current. The field magnets are permanent magnets possessing a north pole and a south pole that interact with the north and south poles of the armature (an electromagnet when connected to an electric current). 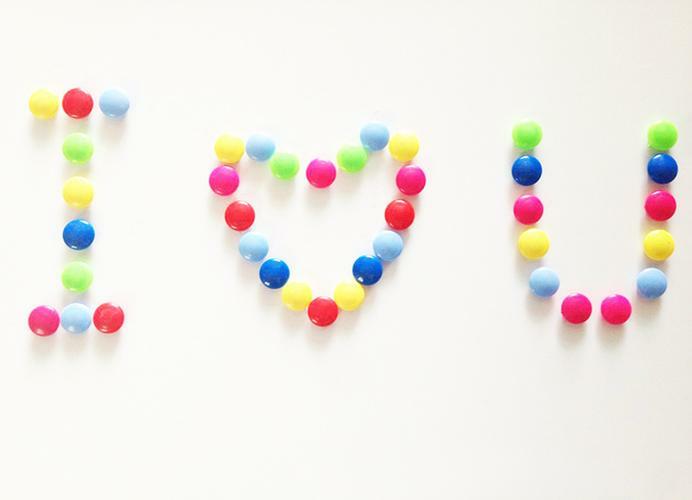 Like poles repel, while unlike poles attract. The armature rotates until its north pole is as close as possible to the south pole of the permanent magnet (and also as far as possible from the north pole). Inertia carries the armature past this point. However, as the armature passes this point, the commutator reverses the direction in the coils, so that the poles of the coils are suddenly repelled by the nearby field magnets. Thus another half-turn occurs, and this process occurs again and again. A better explanation involves an understanding of fields. The field magnets produce a magnetic field that passes through the gap between the pole pieces. When current passes through the turns of the armature in the presence of the field, forces act to cause a torque that rotates the armature. Inertia carries the armature past the position of no torque to the point where the torque would force the armature back in the other direction. However, at that point the commutator reverses the direction of current in the armature so the torque continues to act in the original direction. How to start a simple motor? The motor is not self-starting. Immediately after you apply the power, start the motor manually by grasping the black plastic bushing at the top of the armature assembly between your thumb and forefinger and spinning the armature. With the Permanent Magnet Motor configured as either a DC or universal motor, almost any attempt you make at spinning the armature will result in successfully starting the motor; only the direction of the spin is important. When configured in an AC synchronous mode, the motor must be spun at a speed that approximately matches the frequency of the power source. Author Maria HigginsPosted on October 22, 2018 Categories Magnetic AssembliesTags DC motor, permanent magnet, Permanent Magnet MotorLeave a comment on What is Permanent Magnet Motor? Klaus Halbach has been investigating novel designs for permanent magnet arrays for many years, he used advanced analytical approaches to employ a keen insight into such systems. One of his motivations for this research was to find more efficient means for the utilization of permanent magnets for use in particle accelerators and in the control of particle beams. As a result of his pioneering work, high power free electron laser systems, such as the ones built at the Lawrence Livermore Laboratory, became feasible, and his arrays have been incorporated into other particle focusing systems of various types. This paper reports another, quite different, application of Klaus’ work, in the design of high power, high efficiency, electric generators and motors. When tested, these magnet motor or generator systems display some rather remarkable properties. Their success derives from the special properties which these arrays, which we choose to call “Halbach arrays,” possess. Halbach-arrays are widely used in the passive magnetic bearings. The nowadays industrial rotor machines are more flexible and often operating with ultra-high speed. Using the passive magnetic bearings in certain applications, we need to take into account the occurrence of radial component in the case of axial bearings and axial component in the case of radial bearings. Journal bearings, in addition to passing load forces of the rotor, rotor weight and damping must take into account the existence and impact of this negative component forces. Therefore, in the design of passive bearings Halbach-arrays are introduced. Halbach array is a special setup and configuration of permanent magnets so that you can get the concentration of magnetic flux in a specific, desired item, and remove it from less important or unwanted places. Among the Halbach arrays, to guide the magnetic field in the desired way, we can distinguish boards between 180° and 90°. These terms relate to the relationship between the magnetization vectors. In the construction of the passive radial magnetic bearing 180° Halbach-array was used. This kind of magnetic bearings belongs to the repulsive magnetic bearings. 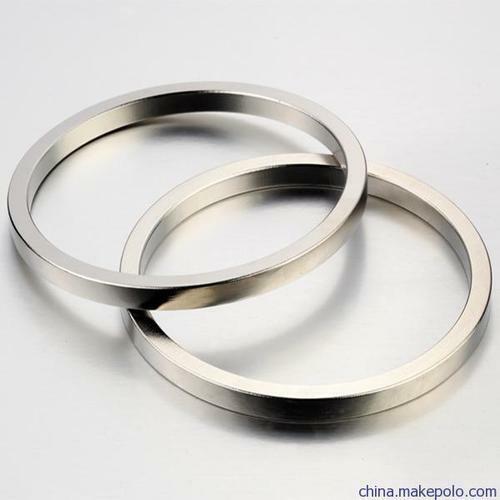 The examined passive magnetic bearing is composed of four pairs of the neodymium-iron-boron (NdFeB) magnets rings. These rings are axially magnetized, which means that magnetic poles are placed on the flat circle sides of the magnets. The introduction of the Halbach-arrays allows the adequate orientation of the magnetic field in the placenta, and to reduce the negative impact of the active component forces. The use of Halbach-arrays and magnetic bearings, allow to develop and to implement the high performance passive magnetic bearings.